The following Guidelines for Interfaith Dialogue were produced October 1988 by the Ecumenical Office, Anglican Church of Canada. 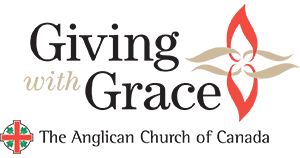 These guidelines are offered to Canadian Anglicans as they seek to reach out to their neighbours of other faiths. Our approach has two separate, but inter-related aspects: dialogue, which includes growing in our knowledge of each other and a mutual sharing of spiritual insights; and common action which would involve joint efforts to deal with issues related to life together in society, but might also include activities of a devotional nature. Meet the people themselves and get to know their traditions. 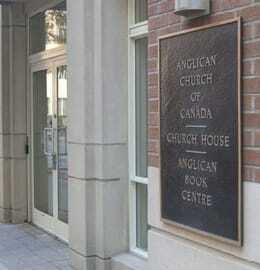 In many Canadian communities there are places of worship of the world’s great religions. Several of these religious communities have national or regional organizations, and frequently people with responsibility for interfaith dialogue and cooperation. There are also bodies that have as their purpose the fostering of better relationships among people of different faith communities. Wherever possible, engage in dialogue ecumenically. When we seek to explain ourselves to others the differences between Christians take on a different perspective. An ecumenical approach to dialogue allows us to focus on those things which are essential in Christian teaching. 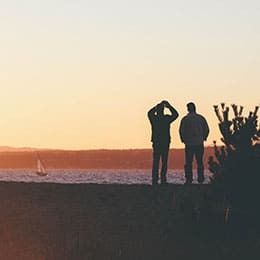 While individual approaches need not be discouraged, a ministerial or local council of churches might well be the appropriate body to initiate dialogue. Generally, dialogue is best done by representatives of several churches at the same time. Allow others to speak for themselves. Too often stereotypes have kept us apart from people of other faiths. One obvious way of avoiding this is to let the dialogue partners describe themselves, as we expect to speak for ourselves. This is not to say that our listening must always be uncritical. Our questions will only be accepted as we show that we want to learn and understand. One way to ensure this kind of balance is to involve dialogue partners in the planning process itself. Be aware of other loyalties. We always bring into relationships a cluster of theological commitments and cultural loyalties. An awareness of this can avoid unrealistic expectations, and can help focus on central rather than peripheral issues. Acknowledgement of our own and others’ loyalties can pave the way to deeper sharing. Prepare carefully for the dialogue. No dialogue venture will be successful without sensitive planning and preparation. It is important to approach others with the same kind of respect we would wish to be accorded. They cherish their beliefs and practices as deeply as we do our own, however different they may appear to us. Every religious tradition, including our own, has unworthy adherents and unpleasant episodes in its history. True dialogue is not possible if only the best of one tradition is contrasted with the worst of others. Issues of separation must be addressed as well as those of unity. Dialogue is not furthered when painful or difficult areas are glossed over. However, this should not be done with an attitude of superiority or solely in an effort to air grievances. It should include an awareness of our own contribution to division and misunderstanding. By engaging in dialogue Christians are not being asked to compromise their faith that God was revealed in the person of Christ. Their understanding of their own faith should be clear, so that the Christian perspective can be fairly presented to dialogue partners. Dialogue, however, should not be a subtle form of proselytizing, but an occasion for mutual sharing. Deal with issues related to living together as part of the human community. Joint approaches to government on matters of economic, social, political and cultural concern. Urging respect for human rights and religious freedom not only for ourselves but for others also. Coordinated efforts to deal with global issues such as world peace, the environment or hunger. Foster efforts at education and communication between people of different faiths. Education is both a consequent of and a way into interfaith dialogue. The effort to learn and understand will bring us into closer contact, while that contact will lead us to want to share our learning with others. In our pluralist society it is important that people have an appreciation of the rich religious heritage of those who make up our community. People are pleased, for example, when their major religious festivals are acknowledged. These can provide the occasion for learning more about the faith concerned. Sustained contact with people of other faiths can begin to break down false images with which many of us have grown up, and to which we are still often exposed. Efforts should be made to challenge such stereotypes wherever they may be encountered, including those in our own educational and liturgical material. Among the places on which such educational efforts can be focused are: schools, universities, and other institutions for adult education, seminaries and church schools. Inaccurate media coverage of minority religious groups can be detrimental. Positive relations should be developed with the media so that their potential for increasing public awareness about people of different faiths can be fully utilized. Efforts should also be made to sensitize travelers to the religious traditions of the countries they visit, and to encourage them to share their experiences on their return. Representatives of other faith groups should be consulted, and where possible involved, in the preparation of educational material that touches on their history, beliefs and practices. 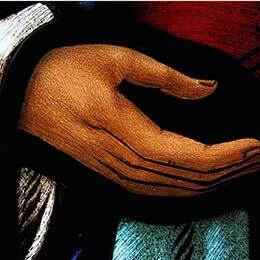 There is much that religious people can share of their spiritual insights in an atmosphere of learning and openness. However, people of other traditions are no more anxious than we are to engage in acts of worship which blur very real differences of theology or world-view. Neither do they relish the appropriation by others of their religious symbols or sacred texts. However, there is much that religious people can share of their spiritual insights in an atmosphere of learning and openness. Attendance at another community’s acts of worship should always be accompanied by careful preparation and an opportunity to ask questions afterward, preferably answered by members of that tradition. Christians who are present during the worship of another faith community may be unable to participate fully in everything that is said and done, but they should attend with the attitude that the event is an important part of the spiritual life of the participants. Prayer for people of other religious traditions is valuable, especially during times of particular need or when it is for better relationships with them. Some Christians feel that they should pray for the conversion of others to Christ, while others would argue that this should not be done. In any event it is God who converts people. Christians themselves are far from fully understanding or obeying God’s will. It is inappropriate to single out any one religious group as being in particular need of conversion in a way that fosters prejudice against them. Because the encounter with each group is distinctive there can be no one set of guidelines which will cover all situations. Until our encounters reach the point of allowing each party to express freely its sense of spiritual reality, the meeting is more likely to be curious than serious. The simplest instruction may well be that of St. Augustine, based on Jesus’ twofold commandment, which is to love God and do what you will. Love, in the sense of mutuality, means that as we would share what is most precious to us, the gift in Christ Jesus, so we must invite others to share their treasures with us.